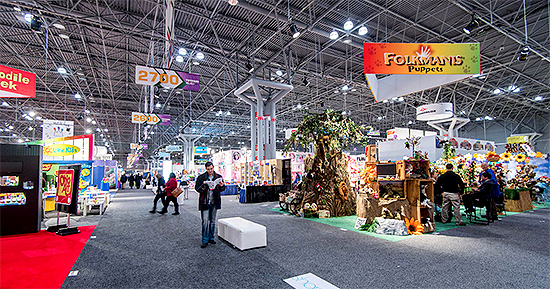 The annual Toy Fair, held at the Jabob K. Javits Convention Center at New York City every year, is one of the most bustling places for news on cool new toys and products from around the world. This year’s Toy Fair, which took place from February 16th to 19th, had some awesome new toys alongside cool new inventions, making it the largest toy marketplace ever held in the Western hemisphere! 1,150 toy companies unveiled a huge variety of products, ranging from collectible toys to innovate new technology and inventions. Awesome figure releases for popular franchises like Star Wars, Godzilla, Batman, Power Rangers, Teenage Mutant Ninja Turtles, Hello Kitty, and Game of Thrones were unveiled at the show, alongside innovative new products that take whole new spins on classic toys and products! One such example was the Orbitwheel, designed by toy company Inventist. 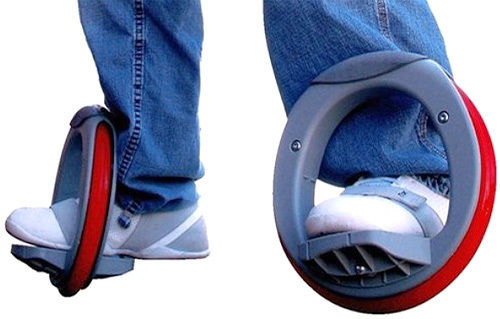 Designed as a revolutionary combination of skateboard and roller skates, these wheels are worn like shoes, and allow the user to quickly manipulate their momentum and movement through the user’s body weight, allowing the Orbitwheel to operate flawlessly on variety of surfaces as well as remain small and compact, fitting easily into a backpack or carried by hand. Designed as a form of entertainment as well as transportation, the Orbitwheel might just be a new sensation in outdoors entertainment! 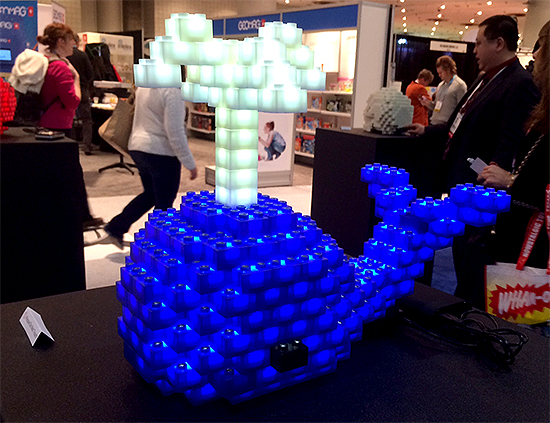 Another interesting twist on a classic toy is the Light Stax, a LEGO-like building block toy. The one thing that sets the Light Stax apart from its brethren are the LED lights implanted into every block, with contact points at the top and bottom of every peg. By stacking these blocks onto a battery-powered base, each brick will light up, creating a beautiful glowing set piece. With a variety of colors available, these bricks are a cool new way of bringing your block masterpieces to life. Automated toys were also a big part of the show, with a variety of new technology shown in some brand-new collectibles. One such example is the Aquabot 2.0, designed by company Hexbug. 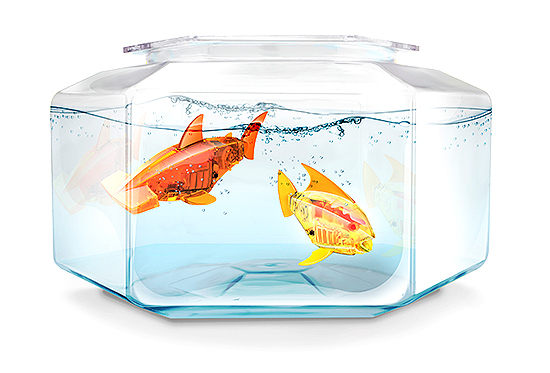 These automated fish are equipped with a new sensor that detects movement and vibration, allowing them to react to movements in their environment, as well as to interacting with people knocking on the glass of the bowl or playing in the water. The Ozobot was another cool robot, designed to follow paths drawn by the user. The robot is able to follow the lines with pinpoint accuracy, and can even be commanded to speed up, reverse, change direction, or do a variety of other commands through the color of the line itself. All of these toys, and more, will be made available over the course of the year, so make sure to keep your eyes open. With all of these amazing inventions and figures unveiled at this year’s Toy Fair, we’re more excited than ever to see what next year’s Toy Fair has in store for us!